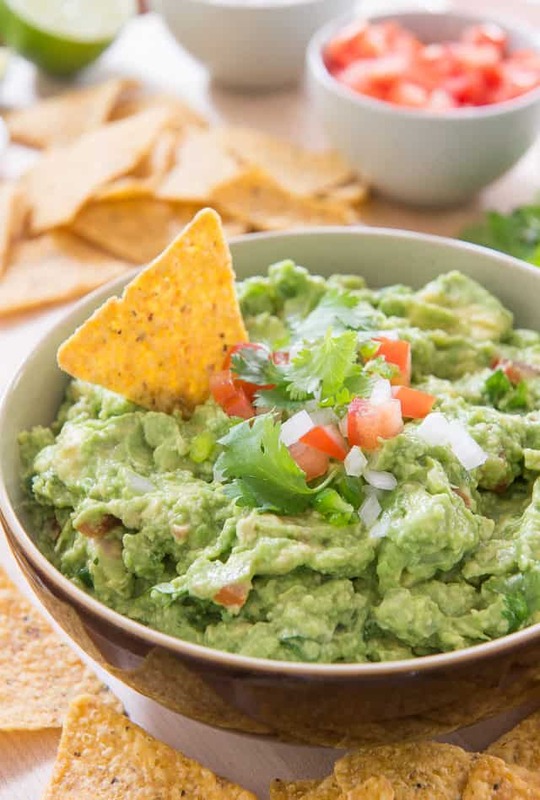 This Guacamole has the perfect texture and combination of flavors, with chunky mashed avocados mixed with fresh lime juice, jalapeno, white onion, tomatoes, and cilantro. 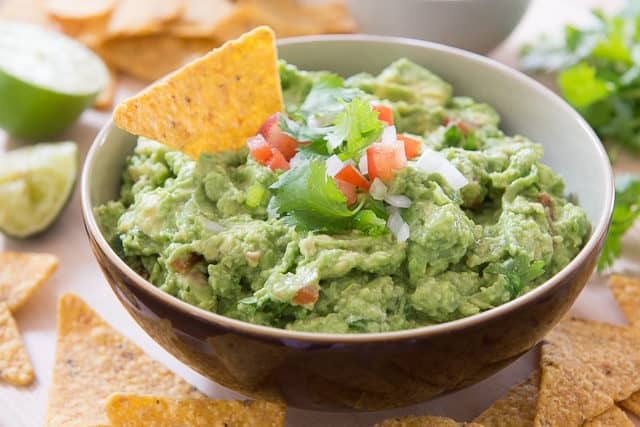 Everyone seems to have their own way of making it, but the best guacamole is one that’s kept in the classic flavor profile, if you ask me. 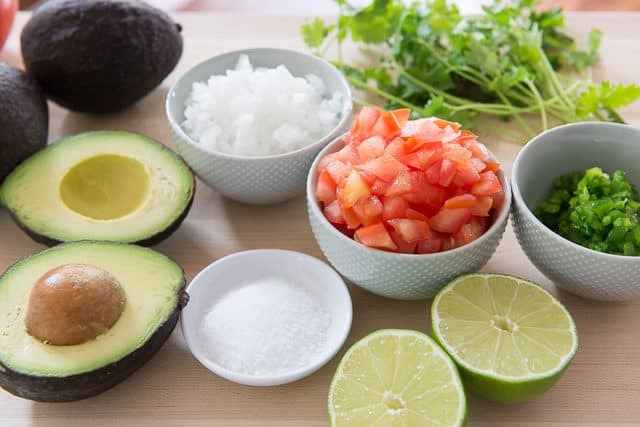 The richness of the avocado is the star, balanced by fresh and bright lime juice, and accented by bits of onion, cilantro, tomato, and jalapeno. No cumin, peas, strawberries, or other weird things, please. LOL. 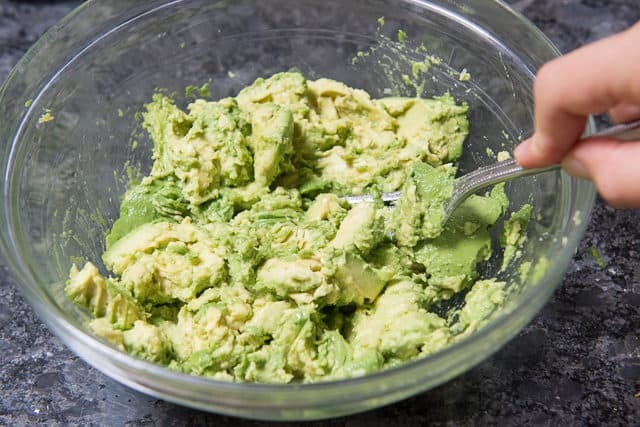 But even more important than the ingredients might be how the avocados are mashed. I’ve seen recipes where the avocado is pureed, which to me is a travesty. 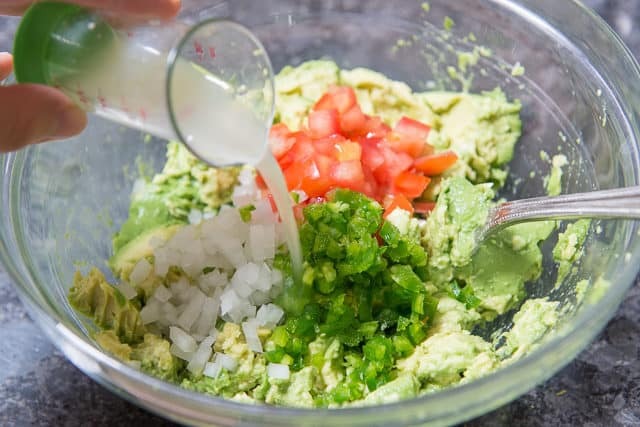 Having bits and chunks of avocado gives the guacamole a fantastic texture, and also aligns it better with the bits of vegetables that are mixed in. Sometimes I’ll make guacamole when I want a healthy, filling snack, but it’s also perfect party food. For football watching, it’s a must, served alongside some Buffalo Chicken Dip and Baked Chicken Wings. What onion to use for guacamole: This is the only instance where I use white onion, as I mostly cook with red onion and yellow onion. But the clean flavor of a white onion is really optimal and important for guacamole. Red onion is a close second, if that’s what you have on hand. Which tomatoes to use for guacamole: I like vine-ripened tomatoes, even though some people like to use roma. No matter what tomato you choose, make sure to push the seeds out with your finger or a spoon, so you don’t water down the recipe. Make sure to leave it far more chunky than you ultimately want it to end up, as mixing in the other ingredients will break it down further. 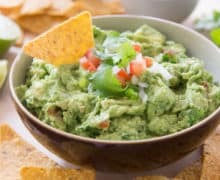 The guacamole can be enjoyed immediately, but is usually a little better after 15 minutes, to allow the flavors to meld. 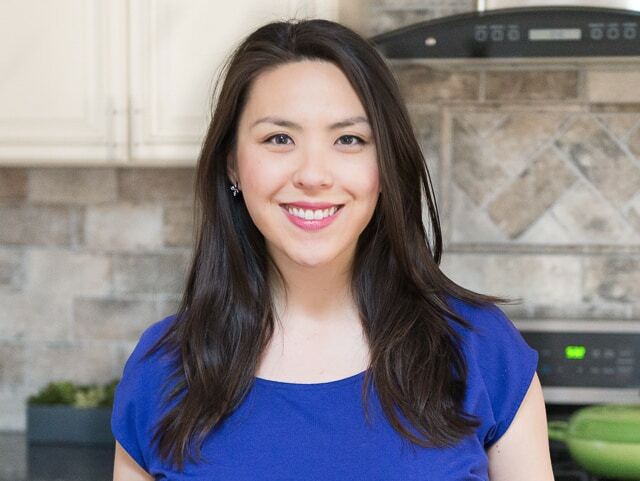 I try to only make as much as I plan to eat, but if you want to store any leftovers, press plastic wrap directly on the surface, and store in the fridge for up to 1 day. I have tried other ways of storing it, like with a layer of water on top, or with the pits, and the plastic wrap method is the best by far. Is guacamole good for you? Yes! It’s one of the most commonly agreed upon health foods. It’s full of healthy, satiating fats from the avocados, and is gluten-free, keto friendly, whole30 friendly, vegan, and low carb. Can it be frozen? No, it does not freeze well. Can guacamole be reheated? 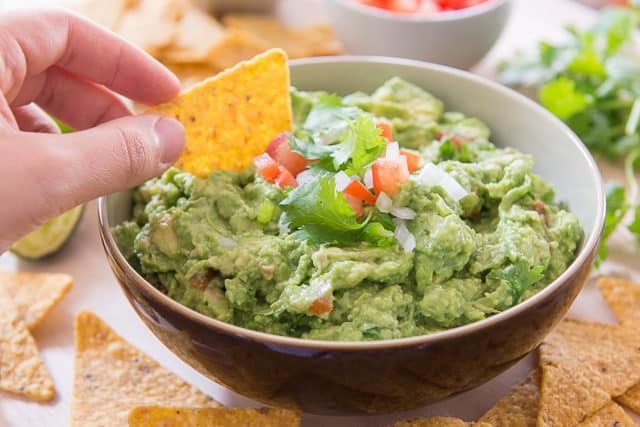 Guacamole should be enjoyed at room temperature, so do not reheat. If you’re taking it out of the fridge, just let it come up to room temperature by sitting out for 20 minutes or so. 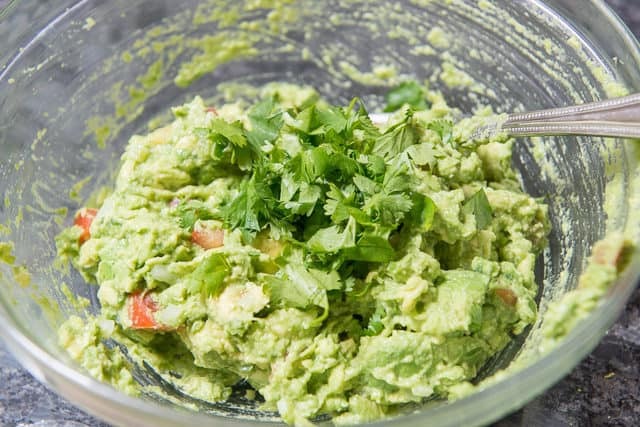 Guacamole can be left at room temperature for a few hours, but then it should be stored in the fridge. 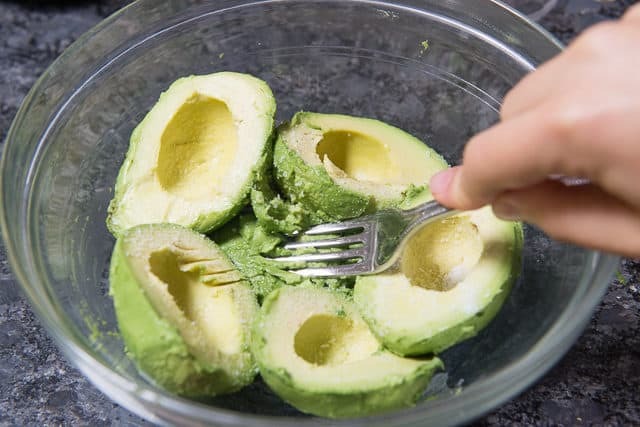 Scoop the avocado flesh out into a bowl, and mash the avocado with a fork, leaving plenty of chunky, unmashed bits of avocado. Add the tomato, onion, jalapeno, lime juice, and salt, then gently stir to combine. Gently fold in the cilantro. Taste the guacamole and adjust to your tastes (you may desire more salt, or more acidity), then serve. Enjoy! Post updated in March 2019. Originally published June 2013. I really enjoyed this. It had the right balance of flavors and a lovely texture. Thank you.